I hope it survives; I love circuits that touch the past. We need them – just as we need the past in order to create the future. That subject, though, is for another day. It’s time to celebrate Monza, 2015, and to start us on the path, courtesy of Movietone News, we’ve put together a collection of Monza Moments – well, almost Monza moments, because I couldn’t resist a bit of Tazio Nuvolari in Tunis or that amazing Ferrari dead-heat at Syracuse in 1967. 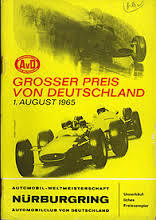 Finally, the spirit of Monza is I think encapsulated by the enthusiasm of the starter in the last video (1968 1000km). 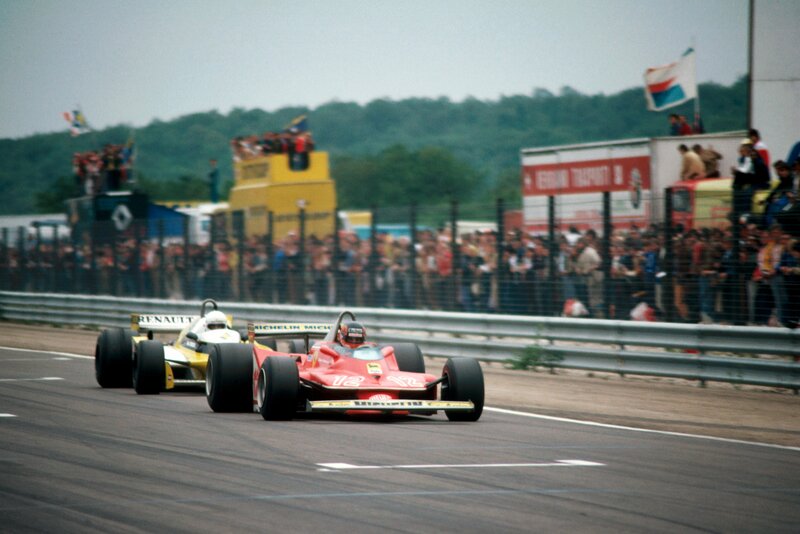 By the time the back of the grid reaches him they’re travelling at well over 100mph… Avanti! 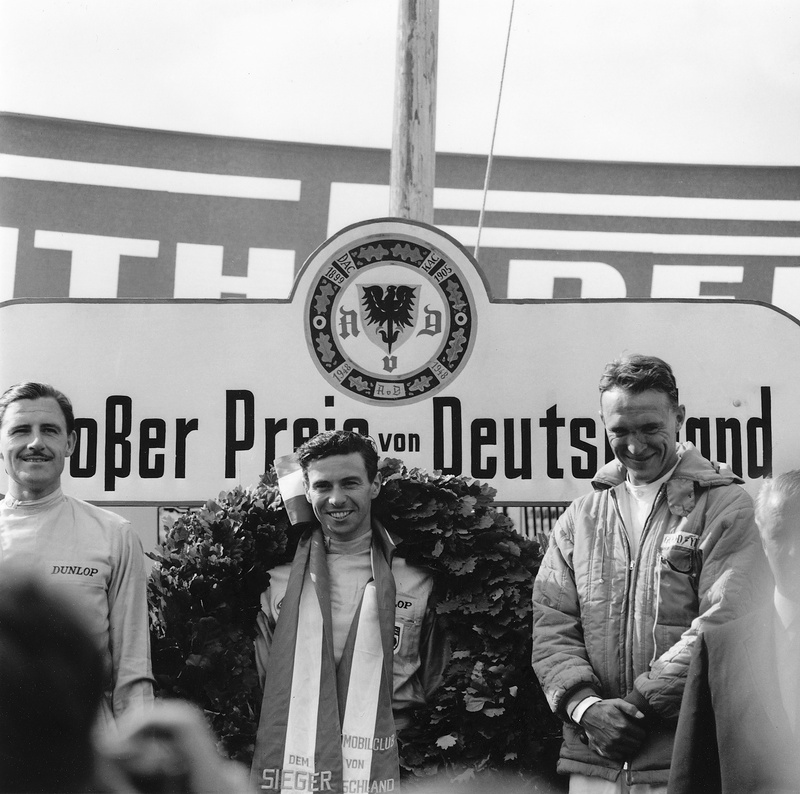 For Jim, this was a big race for another reason: he had never won at the ‘Ring. He’d always been quick, both in sports cars and F1, but always there had been problems. Now he had the almost-perfect car (the Lotus 33B, fitted with a larger-capacity oil tank in the wake of the Silverstone near-miss) and the almost-perfect engine (the 32-valve Climax V8, now running tapered valves to curb excessive oil consumption). All he needed was a trouble-free weekend. This he had. 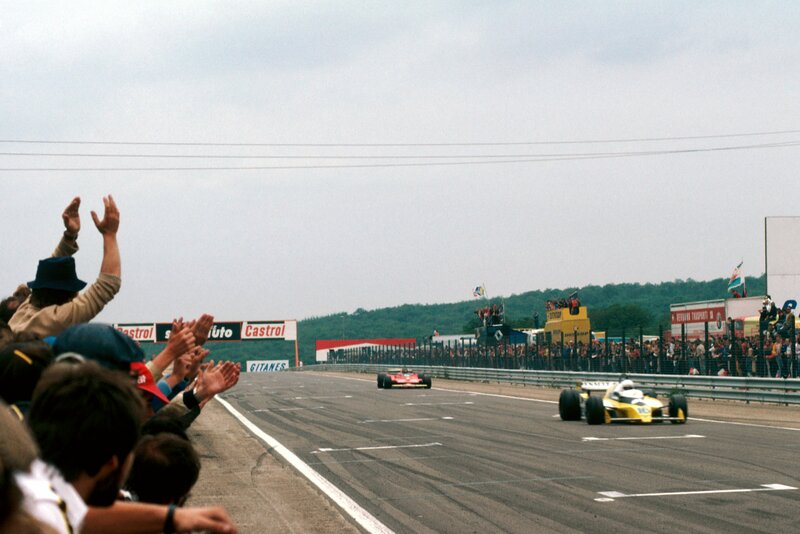 It wasn’t easy, because he backed-off a fraction late when the car was airborne in the early laps, buzzing the Climax up to 11,200 rpm; and, late in the race, when light rain began to fall, the engine lost its sharpness due to a broken exhaust. 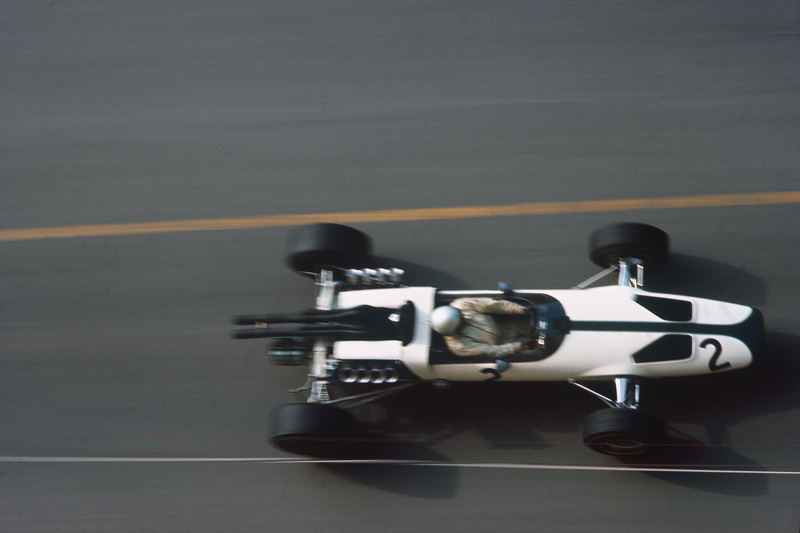 Jackie Stewart, though, had problems with the BRM, leaving Graham Hill as Jim’s only real threat, while Dan Gurney’s 16-valve Brabham-Climax was very slow in a straight line. As if it’s not enough to live without a French GP we’ve also had to survive this year minus a race in Germany. I suppose you could argue that France isn’t exactly a strong force in F1 at the moment – but no-one can deny the global allure of Mercedes, Sebastian Vettel and the Nicos Rosberg and Hulkenberg.True, Hockenheim is back on the calendar for 2016, but, in this of all (Mercedes) years, it does seem odd (to say the least) that we haven’t had the chance to see F1’s German stars performing in front of their home crowds…doing something, in the context of the history of our sport, that they’ve been doing since the 1920s. 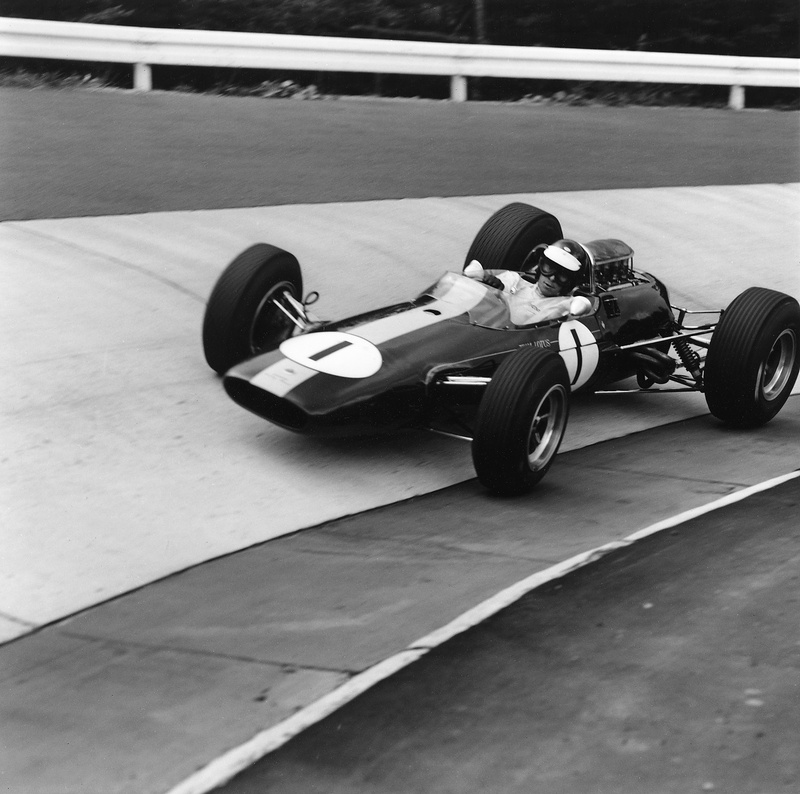 Jim Clark tests new Ford Falcon! Jim Clark and Graham Hill were both Ford-contracted drivers from 1967 onwards – and Ford of Australia duly put their testing talents to use during the 1968 Tasman Series. In this short Movietone News clip, courtesy of AP, we see Jim and Graham at Ford’s You Yangs test track in Victoria, examining the new Ford Falcon and driving demonstration laps for the camera. Interesting to see that Graham wears his Buco helmet while Jim chills in the Aussie breeze. There’s no mention of the reigning World Champion, Denny Hulme, in the period voiceover, but that is Denny with Jim and Graham at the start of the clip. Being a Ford Galaxie man in Europe, Jim, I imagine, would have been quite impressed with the Falcon – and would particularly have liked its future high-performance derivative, the GTHO. Sadly he died only few weeks after this video was filmed. Their friendship blossomed in 1965. Jackie also became a familiar face at Sir John Whitmore’s Balfour Place apartment and in so doing opened Jim’s perspectives to a very different way of life. Jackie, even then, was both fashion- and financially-sophisticated. Jim was less so. The interesting thing, looking back, is that Jackie had no doubt about how to solve the high-earner’s tax problems: he would move to Switzerland and operate as a pro racing driver from that one, central base. Jim, despite his friendship with Jackie, continued to do his own thing with his own, local advisers. He would take the complicated option of moving his “goods and chattels” to Bermuda while residing for a full racing season in Paris. By the mid-1965, Jackie had also finished second to Jim at Spa, Clermont and Zandvoort: the magazines were calling it a “Highland Fling” and referring to “The Flying Scotsmen” in the plural. None of this troubled Jim. On the contrary, he was delighted for Jackie – for that was his nature. Jim had persuaded Colin Chapman to give Jackie a quick F1 outing during practice for the 1964 British GP and Jackie had stood-in for Jim in the Rand GP later that year. With Jim’s Indy win paving the way for drivers like Jackie also to race in the States, motor racing north of the border had never looked healthier. Thus the two friends attended a race meeting at the new Ingliston circuit in Edinburgh on July 25 – in the time between the Dutch and German GPs (at the vortex of what was already a breathlessly intense season). Already well-known to Jim as the site of the Royal Highland Showground, the new circuit was made up from in-field and perimeter roads. 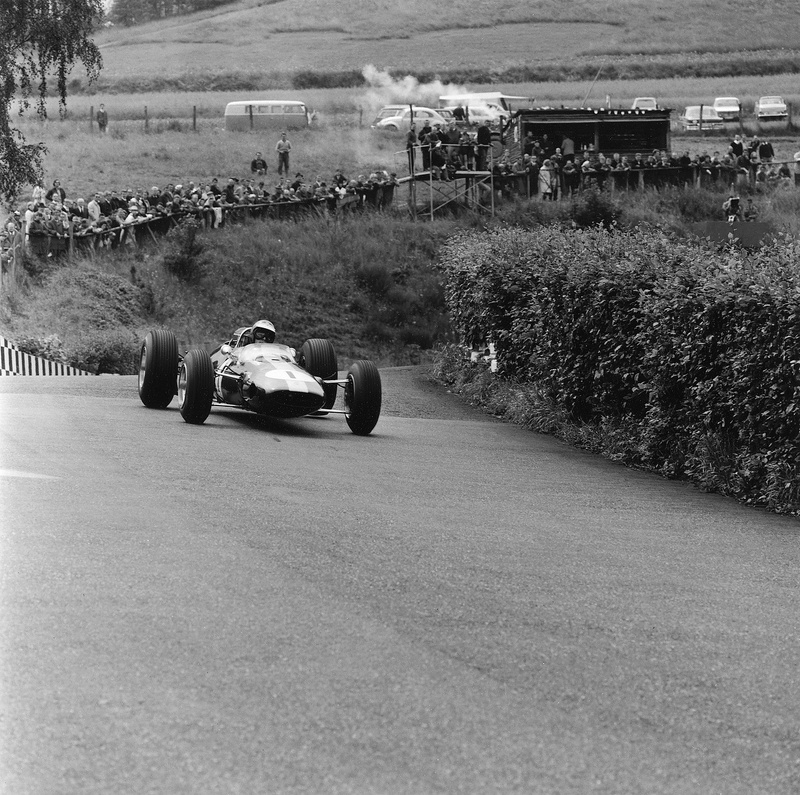 It wasn’t long or too demanding – but it was another motor racing circuit for Scotland. In many ways it was a product of Jim’s success. The race meeting itself, organised by the Scottish Motor Racing Club, was relatively low-key, as you would expect. 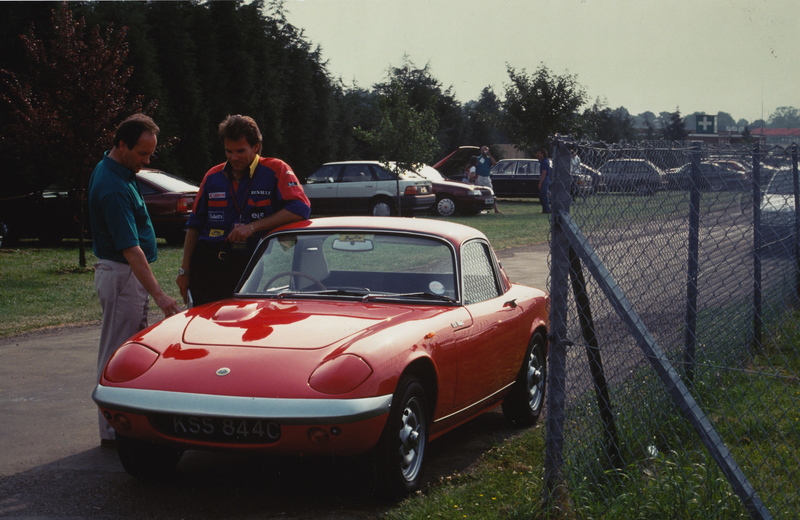 Jackie would have been interested in Bill Stein’s Ecurie Ecosse Tojeiro while Jim would have had a laugh with his old Normand team-mate and fellow F2 competitor, Mike Beckwith, who raced spectacularly at Ingliston in his Elan. The Rover-BRM turbine “hoover” was on-hand, fresh from Le Mans, for Jackie to demonstrate with Jim alongside him (!) and Jim, ever the man of detail, performed the start-line duties for the Guards Trophy event, stop watch in hand, flag accurately poised. 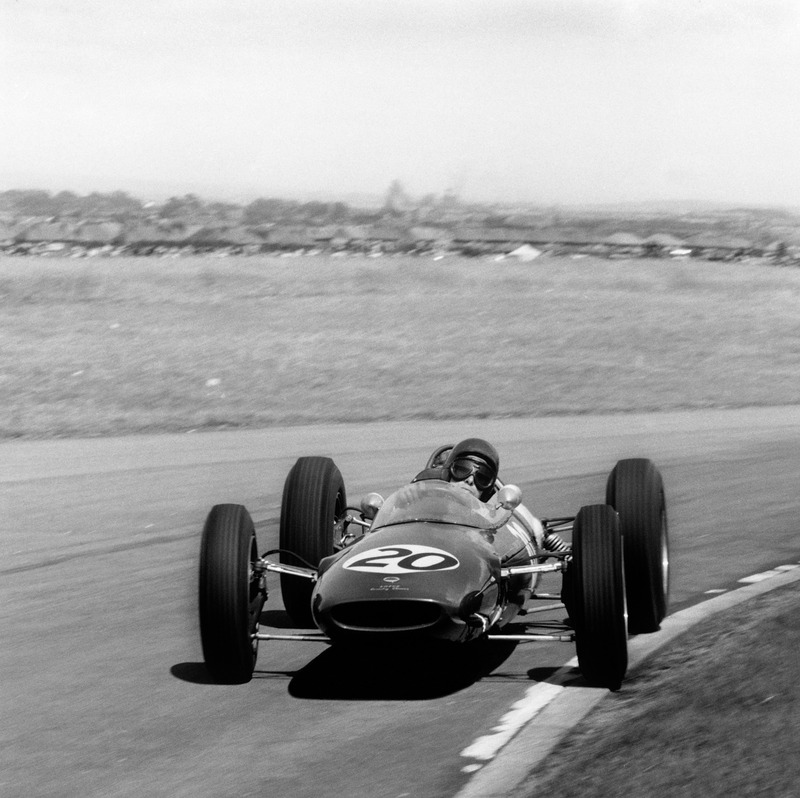 It’s also worth noting that both Graham and Gerry Birrell raced on this day at Ingliston – both were quick and destined for greater things – and that Jock Russell was much in evidence: the irascible Scot would later buy Jim’s 1966 US GP-winning Lotus 43-BRM. Click on the first image to open this short gallery of the Ingliston Interlude.